A potential client needed to recreate their existing application to better utilize our new big data technology to increase rechargeable battery sales. I worked with our sales director to gather requirements and solidify solutions. I worked on creating the best way to visualize the data that the technology was collecting, through a multi-level dashboard designed to meet the needs of two separate user types. They loved our idea and we successfully acquired them as a new client. With a short deadline and few defined requirements, I spent the day locked in an office researching electric and hybrid cars and their associated rechargeable battery types. I started sketching out potential user interfaces with various interactions, and fleshed out potential user personas. The first user type is for the dealership user. 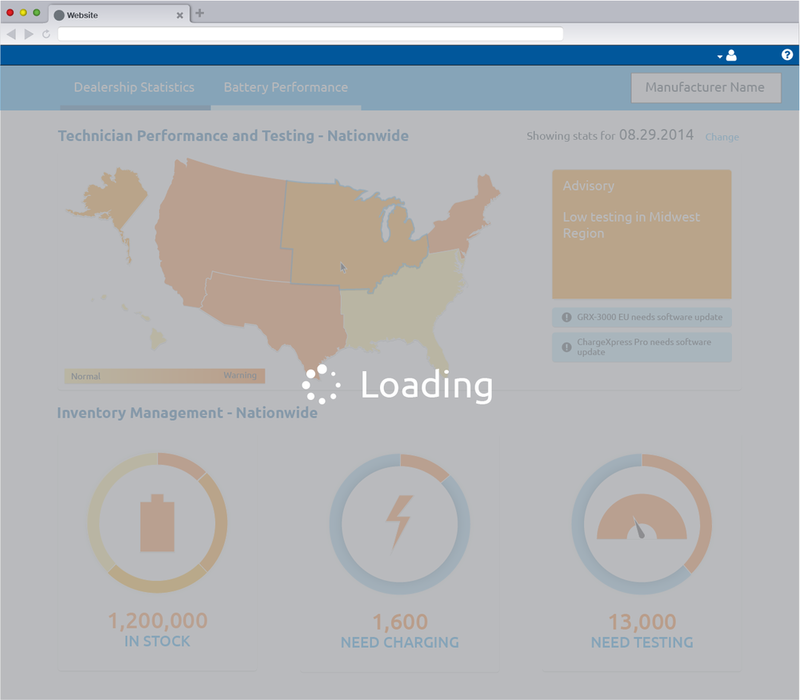 This user is responsible for working directly with customers who have purchased electric and hybrid cars with rechargeable batteries, and making sure the customer is maintaining the battery life. The second user type is the manufacturer user. This user is responsible for working with dealerships to ensure they're using software appropriately and encouraging ongoing maintenance on the batteries, and making sure to sell new batteries when needed. 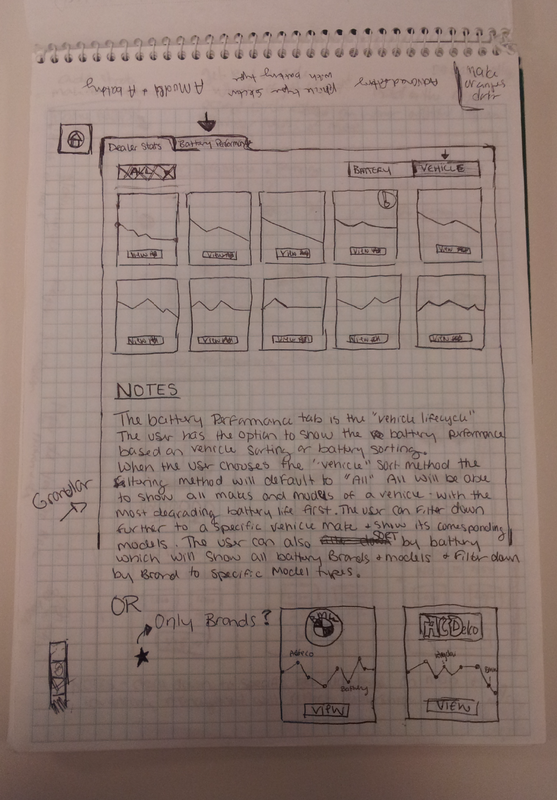 The next step was creating high-fidelity wireframes to define the user flow and provide annotated notes. To bring the potential of the web application to life for our client, I created a quick style tile to apply a visual design to the wireframes.